Karitoonz: Day 13 "Victor's Monster"
Day 13 "Victor's Monster" I think I need to buy a new brush pen. It's starting to run out of ink. 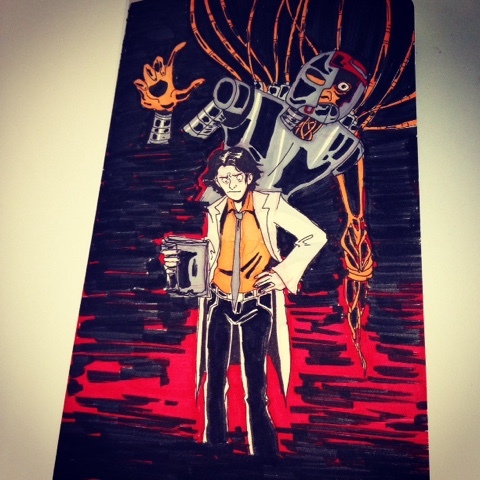 Today's word was "Frankenstein," so obviously I did a roboticist Victor and his robot monster.